Dr. Ralph and the staff at Chiropractic Solutions take great pleasure in providing each of our patients the finest in chiropractic care. Through continuing education and self-study, Dr. Ralph has become an expert in Activator Methods Technique. This technique allows the practitioner to evaluate an individual’s response to neurological challenges at each vertebral level. Like getting instant lab results that indicate whether the nervous system can communicate freely with the body at that level, Dr. Ralph uses the feedback to determine where to adjust, how (what direction) to adjust, and where NOT to adjust. Manual adjustments are also provided at Chiropractic Solutions. Dr. Ralph incorporates adjustments from Diversified Methods, Thompson Drop Technique, and Pierce Technique. In-office therapies are used at Chiropractic Solutions to complement the adjustment experience and help your body heal faster. As clinically appropriate, we use moist heat packs, flexible ice packs, interferential electrical stimulation, and ultrasound therapy. As appropriate to your condition, Dr. Ralph will also recommend corrective exercises or therapies for you to do at home. Remember that we are anxious to work WITH you toward improved health, and that means that you will be doing some of the work on your own. With many health conditions, you have a huge impact on your own destiny by the decisions you make about what are commonly referred to as “lifestyle choices”. Often, Dr. Ralph will recommend changes that will benefit your personal situation. 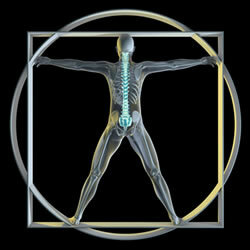 You will experience individualized attention and information at Chiropractic Solutions. With all the cleverly marketed supplements, fad diets and conflicting nutrition information available today, it can get confusing. Our office now offers diagnostic testing (blood/hair/urine/stool)) to thoroughly evaluate your nutritional status and formulate vitamin and nutrient recommendations specific to YOUR body’s needs. No more guessing! Dr. Ralph is available as a speaker for events, meetings, or health classes. She has spoken in the corporate setting, school settings (elementary through college), and at numerous civic meetings. If you need a speaker for your group, ask Dr. Ralph! Chiropractic Solutions also often participates in health fairs, community outreach programs, and the annual Huntsville Senior Expo. We take the upbeat, holistic, natural chiropractic approach “on the road”, you might say.